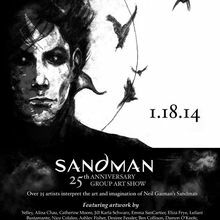 Mission Comics and Art is pleased to present “Sandman: 25th Anniversary”, a group art show celebrating one of the most critically acclaimed comic book series of all time, Neil Gaiman’s Sandman. 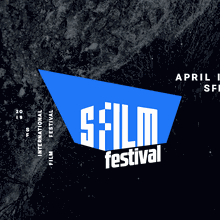 The show, curated by Daisy Church, will feature new art and illustrations from over two dozen New Contemporary and LowBrow/Pop artists from across the United States as they interpret and pay homage to the seminal DC/Vertigo series. Mission Comics is a fantastic retail and gallery space run by SF local Leef Smith, who combined a comic book shop with an art gallery in a fresh, exciting way while drawing on the unique strengths of the Mission District. The gallery and retail space also helps facilitate a greater cross-pollination between the worlds of fine art and commercially produced sequential art. 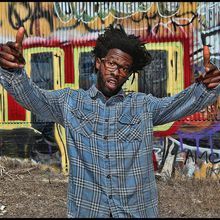 Hours of operation are Tuesday thru Sunday, 12pm-8pm, or anytime online at www.missioncomicsandart.com. 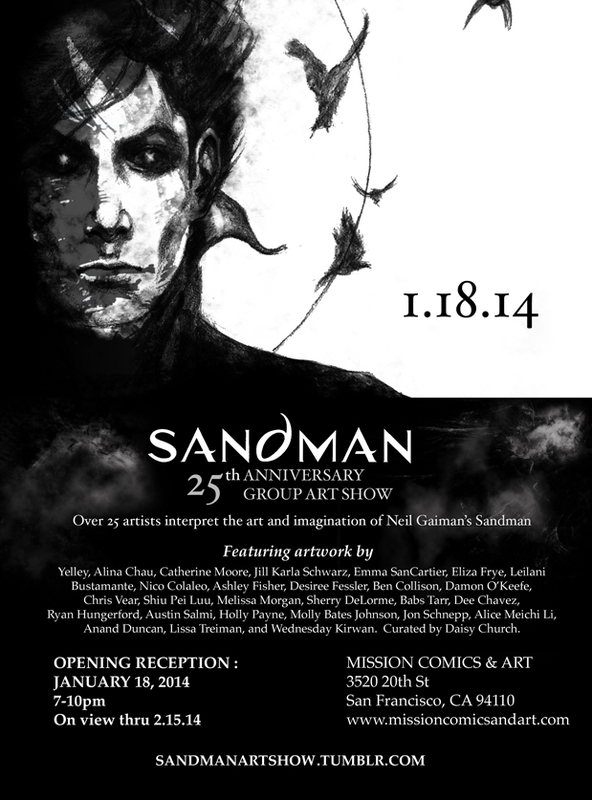 Opening Reception: Saturday, January 18th, 2014 7-10 PM, Multiple artists will be in attendance.